This year, I want to help you to do something that you’ve been putting off for way too long, whether it’s a vlog, a blog post, writing a book chapter, launching a website, going on your first run, or going out on your first date. If you want to show up and tap into your true potential, the key is to ask yourself better questions. I came across this Lifehack article and it caught my attention because it was called “10 Questions That Will Unlock Your Potential” and I thought how appropriate given the newly launched Untapped Podcast – Live up to your potential. 1. If I could write a letter to the 2009 version of myself what would it say? Grab a piece of paper or a journal and write a letter with advice to the version of yourself that is 10 years younger than you now. What would you tell yourself ten years ago that’s going to help you through this period? For me, ten years ago I would have been 31. Almost. I was in Vancouver and this was the year that I was in my first ever startup, a tech startup called Connection Point Systems and launched FundRazr. We were about probably only three to four months in, and I was diving deep into the world of entrepreneurship for the first time. That was a pretty formative year for me! I learned how to be an entrepreneur. I learned how to raise finances. I was playing Ultimate Frisbee and skiing in Vancouver, Canada. I was learning a lot about this new country and the city I was in. I was also starting to blog. I had a blog and I was starting to blog more consistently and it was around the end of that year that I started realizing I think I wanted to just turn this blog into my business …but that’s a story for another day. So what would I tell ten year younger self? I would tell myself to not drink so much coffee, to not stop playing Ultimate Frisbee… even though you’re working like crazy because you’re in the startup and you’re hustling. I would say it’s good to hustle but life is short and you can’t spend all of it working. I think it would have given me more perspective if I’d had that advice back then. Everything else was going pretty well that year probably that I should always believe in myself and then I have more skills, experience and knowledge than I realize and then I should put it into action. That I should trust in myself. That I should be using the fact that I’m a female founder in a tech company to my advantage. To not be intimidated by the lack of women in this area and to really use it to stand out and to make the most of it. I probably will give myself some romance advice. So I will say, you will find some awesome men who are ready to man up, be a great friend and potentially an awesome partner. Don’t be put off by the Pacific Coast attitude of being too chillax for their own good and just focus on enjoying yourself, going on dates with hot men and just being in the moment. The rest of the year was pretty damn good. I think it would just probably be to go easier on myself and not take life too seriously, to not work so hard and have more play. I would love in the comments, if you wouldn’t mind just sharing a little bit of that letter to yourself. 2. If I could only accomplish one thing before I die, what would that be? Think of one thing you want to achieve, accomplish or experience more than anything else. The reason for asking that question is that once you figure that out, you will pursue that with every ounce of hustle you’ve got because life is just too precious for regret. I’m pretty thankful that I’ve accomplished a lot of things that I really wanted to do in my life. I’ve done a lot of travel, written two books. I’ve created a six figure business from scratch which has been pretty epic. I’ve had the chance to speak TEDx. I got the chance to meet a lot of great people, to travel to some incredible countries. And now I’ve had the chance to be a puppy parent which I take pretty seriously and freakin’ love – the best role in the world. Also, I have the opportunity right now to be a triathlete and to really continue on that journey so that I can represent my country in the future or just become the best version of myself. There’s a lot that I feel I’ve done over the years – crazy challenges, body sculpting, dragon boating, world record breaking, gold medals and Frisbee. It’s been epic. I would love to be a prolific author whose book has sold a million copies and touched the lives of half a million plus people. Even if that’s a 10 year journey. I’d like to write a book that has massive lasting presence, because I’ve been touched by so many books and I just think there’s kind of no greater honour than writing something that resonates with so many people and makes a difference in their lives. I’m listening to a great audio book right now, The Barefoot Investor by Scott Pape. It has sold a million copies to date, but it’s also been out since 2004! You can tell by the feedback that he includes in his book and the case studies of people he’s helped, that he’s genuinely changing lives and making everyday people more financially astute. Books change lives and when they are written in such a way that they just spread and everybody talks about them, that’s a beautiful thing. There is something really special about that because I think it means you’ve really mastered the craft of fantastic writing, empathy, compassion and also covering a topic that so many people are challenged by and need help with. That would be one thing I’d love to do before I die. I’d also love to achieve a world record in something. That sounds so vague doesn’t it? So what is it for you? What is one thing you want to accomplish before you die? What would that one thing be? 3. What are the top three things that make me feel happy and fulfilled? #1. I am absolutely at my happiest when I’m out in nature. 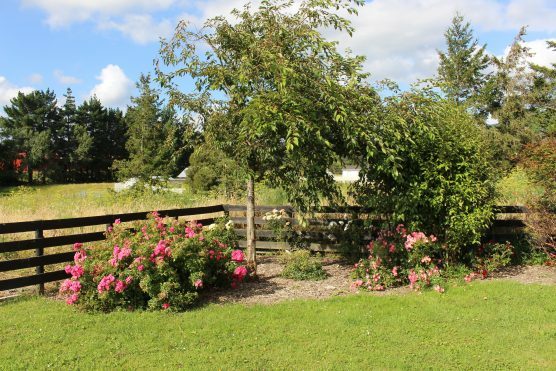 I could spend all my time wandering around our garden, spotting new flowers and buds on trees, listening to the birds, looking at the grass and off into the distant hills. I mean nature just brings me so much joy and it’s free! It’s worth protecting, it’s worth nurturing and growing and I really love here where we’re at our house and in New Zealand. We’re planting trees because we’re stewarding this land for the next generation of people who come to live here and they’ll do the same for their families and their children. #2. Another thing that makes me feel happy and fulfilled is hands down animals. My dogs just light me up. I’m so surprised at how much joy they bring me. Giggles, laughter, love, cuddles, surprises, learning, patience and so much awareness around how they live their life, how they view the world, how everything is fun, adventure and exciting. Animals in general make me appreciate them and what they bring to this world. #3. Being in the company of fantastic friends and awesome people who just give me a fresh perspective on life, who challenge me, who make me laugh, who hold space for me, who make me appreciate and understand different perspectives and who just get me. Those are my top three things that make me feel happy and fulfilled. Once you’ve figured out your top three things, then you really should be building and scheduling around them for a happier existence. 4. What are the top three things that distract me from enjoying my life? #1. My own inner thoughts, especially on days when they’re negative and I find myself getting down on myself, or in a headspace that doesn’t serve me. On the whole, I’m an incredibly optimistic person but I have noticed that my attitude, thoughts and beliefs have got the better of me a lot more in the past year than I thought. Thanks to 20 days in a row of meditation and yoga right now, I can already feel me becoming the master of my own ship (mindset) and getting control back. #2. Getting caught up in the mundane details of things that are not important – getting stuck in to dos and things that are simply not a priority. I noticed that even just last week, I put off doing some really important pieces of work because life admin got in the way and I put a whole lot of other things in front of me that were not my core needs. I was the one who let them take me away from doing the really important work and also experiencing more joy in my life. Some of them are necessary. Some of them though, I prioritized because I felt I needed to be responsible for them. 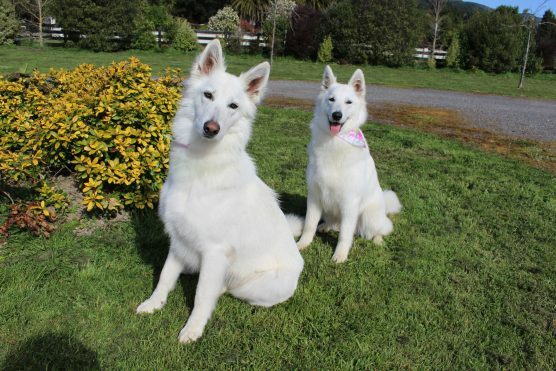 Such as looking after our WWOOFers, making sure our dogs were happy all day long, organizing events and activities, rather than actually getting onto the things that I had put into my weekly Life Pilot plan. #3. Negative people or getting caught up in other people’s stuff. When it comes to closer friends and family, I’ve been noticing recently that I care more than I’d like to about some of the stuff going on in their life. I’m not saying it’s a bad thing to care about people you love and value! But you don’t need to own their crap. You don’t need to get caught up in some of the stories they’re telling themselves. You get to be there for them. You get to support them but you don’t need to take that on. So those are the three things. I’m curious to know what yours are? 5. Am I in control of my thoughts or am I at the mercy of them? On the whole, I do believe that I do a really good job of being super grateful every day. I am incredibly present in the moment. I’m always looking at things that light me up. I get so much joy and pleasure and happiness from the simple things in life. I appreciate them. I talk about them. I thank them. I’m grateful for them. And then every so often my goddamn mind goes to something that’s just so unhelpful. And it’s usually a belief or a thought or an idea that is not true and is not serving me. And it’s typically around not being enough, or having these ridiculously high expectations that I’ve had all my life, and thinking that I’m not meeting them. I was looking back over some notes from my first ever coach I hired, when I was in Vancouver, and he wrote that I was too hard on myself …and he’s so right. What’s the verdict for you? Are you in control of your thoughts or are you at the mercy of them? I’d say it’s probably a combo and we want it to really be that YOU are controlling your outlook on life. 6. Am I in control of my eating decisions or am I at the mercy of them? Now the reason for this question is that your thoughts influence your perception of reality yet your eating decisions influence your mood and energy levels. Happy, healthy people consciously choose to eat foods that make them feel alert, focused and energetic. We all know when we’re unhappy and maybe unhealthy, we unconsciously allow our mood and social surroundings to dictate our eating decisions. I’ve been keeping a food diary for about two weeks and I’m going to continue to do it because it makes me conscious of what I’m putting in my body, and keeps me honest. I showed it to a nutritionist who I hired the other day, to specifically help me with my training and fueling my body for my upcoming triathlons, mainly because I hit a bit of a wall this week. Turns out that I’m eating all the right things, being really healthy, but I’m not eating enough and I’m not eating at the right times before a workout and post workout. The fitter I get and the more training I do, the leaner I get, and the more energy I typically have. The more I can handle the training load, the more focused I am, the more vibrant I am, the more disciplined I am around my work as well as my personal life. It just had a massive positive knock-on effect to every area of my life. When it comes to eating and fuelling your body and viewing your body as a vessel, are you on the good side of it or are you on the not so good side of that? Be honest with yourself. Do you need to improve your relationship with food and love yourself more? 7. What strengths did I use to achieve three major goals in my life? Think about three of the biggest achievements of your life. That could be when you graduated from college. It might have been when you got a really big pay raise at work. It might have been when you started your business and you never thought you would. It might have been publishing a book. It could have been winning a competition. It might have been marrying or being in the relationship that you’re in. Getting your first house. Think about all the major goals. Then think about what are the personal strengths you use to achieve those things? Do you see any trends there? Typically if you do, that’s the road that leads to success and it’s right in front of you. For me, buying my first house at age 21 was a pretty damn big deal. I’d always been really keen on real estate. I’d watch my parents do a very good job of buying these houses, doing them up, selling them, taking that investment, putting it into another and doing better each time. They built up capital that way and secured some financial stability for the family. I also just was fascinated by property portfolios and real estate and how they were such great investment if you bought right. Another big major goal in my life would be starting my business in 2010. I used my strengths, I backed myself, I believed in myself. I took a chance. I’m really good at taking big leaps and taking chances. I thought screw it, what’s the worst that could happen? I could always go back to a job. I made things happen and I took action every day. When I had fears and doubts and I just kept hustling and kept experimenting and kept staying passionate and curious. Those were some of the strengths that served me there. The third major goal was publishing my first book. Again just major belief in finally having a story and a message to share. A real desire to get that book out there and to go through the journey of writing it, publishing it, marketing it and making a difference in people’s lives. I think the discipline, combined with the motivation, and the pure desire to make a difference – made it a reality. So those are my three major goals and strengths that come with it. I would love to know what your three major goals are in life that you’re really proud of and also some of the strengths that used to achieve those? 8. How can I use those strengths more often? Which of those strengths are lying dormant right now, which of those you are under utilizing, which are those of you’d like forgotten that you had? Was there anything you can think back to when you’re a teenager or even younger that you are really not utilizing, that you’re really good at but you’re not tapping into. Now is time for you to tap back into that potential! Speaking is a strength that I do think that it is something that really brings me to life and I can do a really good job of and touch a lot of people’s lives in. Another strength that I’m tapping into more now is coaching. I’ve been slowly focusing on getting clients again, bringing that in back as an arm that supports this business of content creation in my business. I am also really enjoying diving deeper, learning more and adding more strings to the coaching bow which I think is always a great thing to do. But I look forward to exercising those muscles even more and stretching myself more so that I can stretch my clients more. 9. How do I want people to remember me? So rather like question one, which was what advice you would give to your younger self, in this instance, my question to you is – how do you want to be remembered? You’ve probably seen examples or read articles where people have suggested that you write almost your own eulogy for your funeral of how people would remember you. In many ways it’s a chance for you to step up and claim who you want to be – right now. For me, I want to be remembered for being passionate. For being kind. For being motivating. For being inspiring. For being a little bit crazy. For being adventurous and for being a lifelong learner. For somebody who loved deeply, who gave her all and who generally tried to leave the world a better place. In my eulogy, that’s how I’d want people to remember me. And also that I love to freakin’ dance and sing and that everything should be celebrated with champagne! 10. Why do I exist? So now that you’ve done quite a lot of thinking and answering all these other questions hopefully this will come to light a little bit more. If you could write your own biography, what would it actually say about you? If you could write your entire life as the author of your own book, what would it say? For example, are you a humanitarian? Did you win a Nobel Peace Prize? Did you invent something crazy? Or did you just live a really good humble, purposeful life? You gave, you contributed, you educated, you learned, you maybe raised some amazing kids. You lived a quiet yet peaceful, environmentally, friendly low carbon footprint and you always listened to people and saw their side of the story. That would also be an absolutely beautiful reason as to why you exist. So I would love you to answer that question. I think for me, I really believe I exist to be a shining example to others of living a very good fulfilling and purposeful life. One where freedom, adventure and being present in every single moment trump everything else and that any work that you do do is rewarding and purposeful and helps people immensely. So those are the 10 questions that you can ask yourself to unlock your potential. What did you learn about yourself? Share it below! Make sure you subscribe to my podcast in iTunes and other great places. My biggest passion in life has been pursuing my potential, and also seeing potential in others and helping them to recognize it for themselves and do something about it! Little did I know there is a whole movement dedicated to Human Potential, that sprung up the 1960s around the concept of cultivating extraordinary potential, which its advocates believe to lie largely untapped in all people. And hence why the idea for a podcast show called UNTAPPED leapt into my mind in late December and simply wouldn’t let me go until I did something about it. I’m so curious about how to develop more potential, how do we live up to our potential and go beyond it. What even IS potential? Are there different types of it? Who are the foremost experts in human potential, in personal development and what can you and I learn from them? Then how can we apply this across all the areas of our lives that matter – relationships, health, wealth, career, personal growth, spirituality and contribution? I figure I may not be able to become the best in the world, but I can become the best version of myself. I feel like I’ve given this a great shot over the years, like in 2004 when I took myself on a 10 month journey to understand the weird world of body-sculpting and compete in my first, and only, competition. Yes that’s really me on stage! Lots of weightlifting, learning, sacrifice and chicken and broccoli later, and there I was standing on stage, all bronzed in a tiny blue spangly bikini costume, holding a trophy for first place in the NZ Regional North Island Novice ‘Tall’ body-sculpting Championships. Weeks later, less than 10% body fat and hungry as, I was on stage competing at nationals, doing a routine to ‘What a feeling’ from flashdance. Or in 2007, when I trained with this fantastic group of women called the Sisterhood, and by 6am three time s a week, I was out to on the River Thames paddling with them…and for a few times Kate Middleton – well before she became royalty. 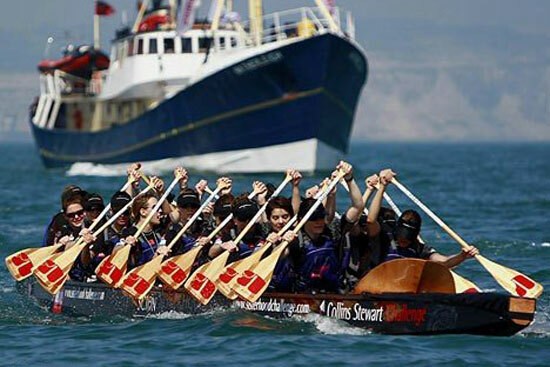 In July that year we smashed a World Record dragon boating across the English Channel to France. Months later, I was in Brazil playing World Championship Beach Ultimate Frisbee with the Great Britain Women’s team…and somewhere in amongst all the training for that, hot sand under our feet, dancing, caipirinhas and too much sunshine, we won a gold medal! To 2012 when I decided that cycling 6,500km down the continent of Africa, from Nairobi, Kenya to Capetown, South Africa, was just something that sounded like fun and a great challenge. Incidents with hyenas in our camp, sightings of elephants running away from us, majestic giraffes on safari, 160km + days of cycling and a new nickname of Flatalie, for the most flat tyres in a given period…later – and that was the experience of a lifetime. And several more adventures and proud achievements in between, and it’s time for the next evolution. To untap my potential, to live up to my own high expectations…and go beyond. And to frankly explore a new level of being and living that stretches me to moments of pure joy, lots of discomfort and a whole lot of fun. Want to explore human potential with me? I regularly take on tasks that cause me to grow and stretch. I like being in over my head because it keeps me sharp and pushes me to give my full effort. But I fear, somewhere in the depths of 2018, I lost sight of that. I wasn’t learning enough, I wasn’t applying new things, I was instead, in some sort of unhelpful holding pattern, waiting for the airport control tower to give me the all clear to take off. I might even be so bold as to say, I was doing what Seth Godin told me I should never do…waiting for permission to be chosen, instead of choosing myself. So, I thought to myself, enough is enough. It’s a new year and I’ve got a fresh new perspective, while at the same time being back to my normal self – which is a self I typically quite like! Here are a few key ways I’m going to live up to and even beyond my potential throughout the course of my life, this podcast, my vlog and as I live write a book on this very topic, that I hope you can apply to. Not tomorrow, not yesterday. But right now. It doesn’t matter whether yesterday was good or bad. It’s over. So don’t get stuck there. And don’t focus on the future too – sure you can think about your big goals and dreams, but more important is what one action can you take today that will make a difference in the future. Because you can influence what happens right now so give the present day your full attention – for want of sounding cliche, it’s called the present because it’s a gift. #2. Focus on my priorities. If I want to continue to untap my potential, I need to focus on my priorities and I can do this by protecting my time and my calendar. You and I both know that it’s all too easy to have your day dictated to you by someone else’s agenda, requests (some may say demands) or priorities. No more putting yourself second to others. If we want to be our best selves, in order to impact and help more people, we need to prioritize ourselves first. Be selective about what you do because you can’t do it all. We all have the same amount of time in the day, it’s not lack of time that’s the problem here, it’s lack of direction and focus. Choose your priorities and use your precious time to accomplish them. #3. Focus on my strengths. I know what I’m really good at. I know what I’m mediocre at. And I know what stuff really doesn’t light me up and feels like a drag. I could focus on improving the latter two, but I’d prefer to focus on improving the stuff I’m already good at, especially things I’m naturally good at, because those are the areas where I have the potential to become great, or even the ‘best’, if I put in the effort, time and training. In other words it’s a good use of my time to focus on my strengths. #4. Focus on my results. This one has been really apparent to me since I committed to training for triathlons in October 2018. I’m doing my best not to focus on the professional athlete’s times and results, and just focus on whether my personal results are improving. And even though I felt like I trained 5-6 days a week for two months for no real gains, it suddenly started showing up in my physique, in my strength and my performance. It’s easy to become tired or frustrated when you feel you’re working hard, putting in the effort and not seeing the payoff. But by sticking with it, measuring your progress and continuing to turn up and make small, consistent improvements, you will see the results and payoff. Of course you need to know what you’re working toward – what result or outcome do you want, what’s the purpose behind it, and what are the processes you’re going to take to achieve it…more on that in future episodes. By doing this you will stay focused on the big picture – visualizing where you are wanting to get to, without losing focus on the present – and what action you need to take today. #5. Focus on my positive habits. I just started listening to my friend Jame’s Clear’s new book Atomic Habits, and aside from it being brilliant, he’s made me realize something. I’ve been doing a lot of what he’s been doing his whole life too, creating and testing different processes to make me more effective, then showing up and doing them consistently, until they become habits – things I do unconsciously, that really work. #6. Focus on what I can control. I realized late last year, when many things were turning to custard – predominantly in my business and therefore finances, that I’d been focusing too much on things that were out of my control. You can’t set goals or intentions that aren’t directly within your control – you just can’t, and not be disappointed if things don’t come off. So focus on what you can control, and set daily actions or weekly goals or monthly intentions to achieve those things that don’t have any external influence. I have Life Pilot – our life planning tool, to thank for helping me do that way more effectively – every day, week, month, quarter and beyond. For example I set a priority for how much time I dedicate to studying, painting or triathlon training and I schedule it in my calendar. I can’t, however, control for the weather, for my a friend being late, or for their being a power outage and therefore no wi-fi. So with these in mind, I bring you UNTAPPED. The podcast that will tap into how I can live up to my potential, and even go beyond it. I’ll be doing the research and experimenting on myself, to bring you what works, what doesn’t and what just feels good, fun, silly or outrageous.